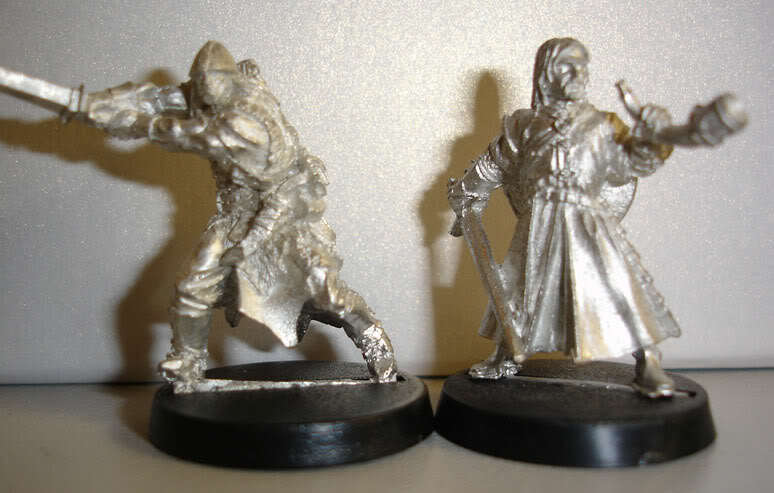 Red Box Games – Size Comparisons with GW Lord of the Rings figures. | Azazel's Bitz Box. 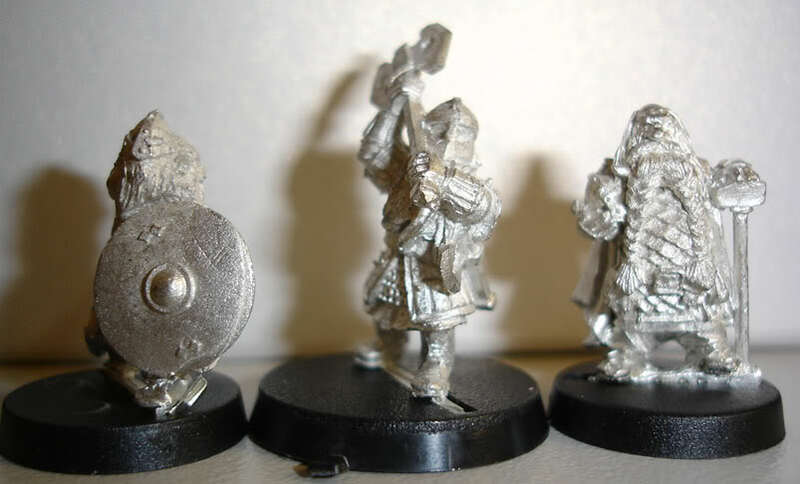 Red Box Games – Size Comparisons with GW Lord of the Rings figures. Yesterday I eagerly received my order of minis from Tre’ Manor aka Red Box Games. He’s done a lot of work for Reaper Miniatures in the past. 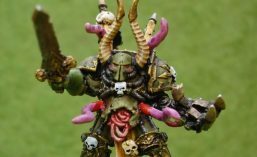 Some of my GW links may be mangled or die soon as GW is in the process of changing their metal stuff to Finecast with many items seemingly discontinued. Ollander Elsewhetherornot of Mootshire from RBG with Frodo Baggins from GW. Ollander is noticably shorter than Mr Frodo, but still fits in well as a Hobbit, especially when you take into account that not all humans are the same height in real life. Another shot showing Dwarf with Dvergr. 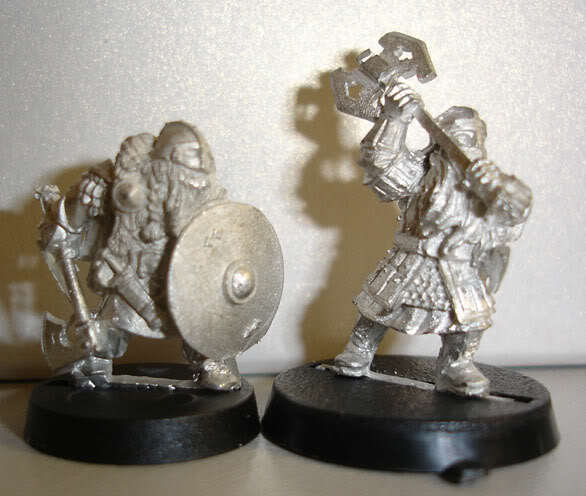 Hostrum Hammersmite is added here, who I’ll use as a Dwarf King or General type figure. I’d have compared with one of my GW Dwarf Kings as well, but they’re packed away in a box. Somewhere. Very happy with the RBG Dvergr/Dwarfs – I picked up almost a dozen of the various figures to mix in with my GW ones and add some nice personality to the force. Fearless Hvitarnor from RBG and Boromir from GW. I picked up a couple of the Norse-themed Njorn range, somewhat to use as Dunlendings. 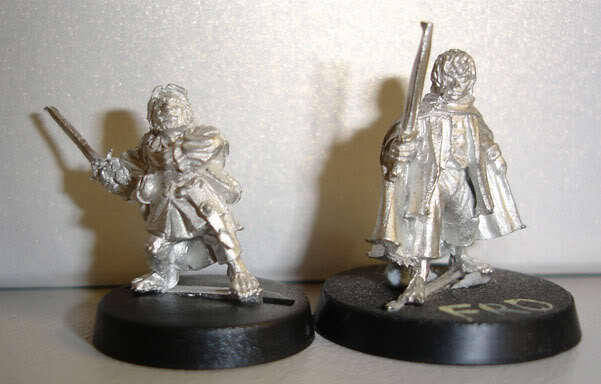 Again, my Dunlendings are …somewhere, so Boromir gets size comparison duty. I purchased Hvitarnor because he reminded me of Conan, right down to the pose, facial expression and helmet. 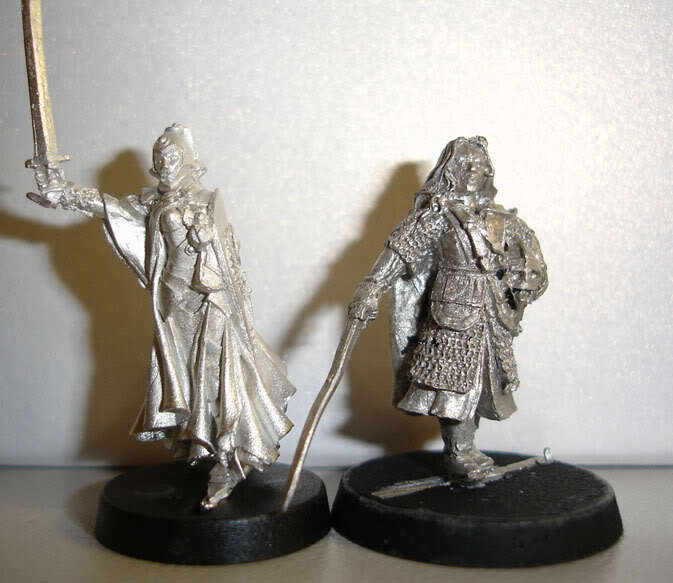 I decided to use a female figure from GW’s LotR range to compare with the RBG ones. 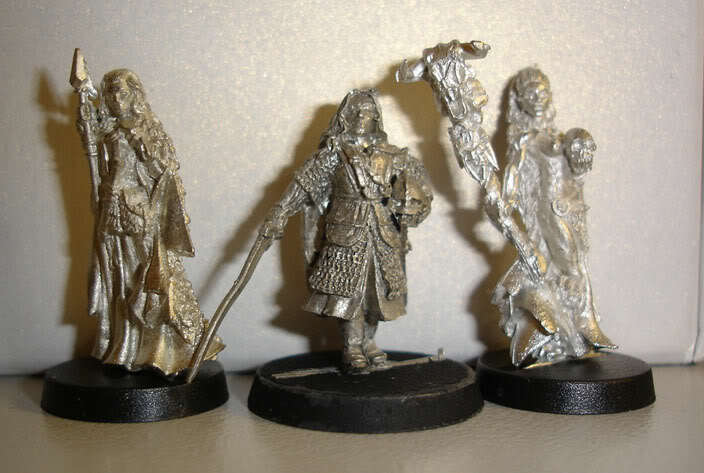 Here’s Eowyn in the middle, with RBG’s Astrid of the Stones on our left and Yrsa the Accursed from the HelsVakt range on the right. I bought these two mostly because they’re good looking figures, though perhaps they could both be used in friendly games using the rules and stats from one of the Stormcaller or Shaman characters. Christia the Chaste from RBG’s Aelfar (Elves) range along Eowyn again. I really liked the Aelfar figures, so just as I bought a big bunch of the Dvergr, I did the same with the Aelfar. A few more Aelfar. Yvander Halfblood from RBG, Legolas from GW (seems this one is discontinued) and Edele of Aelheim from RBG. No prizes for guessing where these guys would be used. Uruk-Hai Captain from GW, Sverreulf the Red-Handed from RBG and Gothmog from GW. RBG’s Halfblood range is interesting. When browsing it, this guy stood out to me as a figure that would make an effective Orc Captain, especially amongst the non-uniform plastic orcs. Again this Gothmog figure appears to be discontinued, though since it’s the same figure as was widely available with the Battle for Middle Earth magazines, I don’t see a shortage of this figure happening anytime soon. That’s it for tonight. 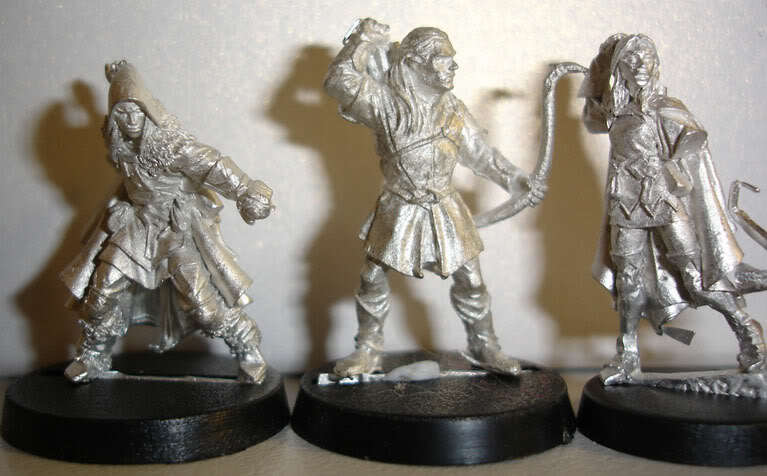 I picked up a bunch of other RBG figures at the same time as these, but these pics should give anyone interested in using these figures alongside the GW LotR ones for any kind of Middle-Earth miniatures of Role-Playing games (MERP!) a good idea of what would work. This entry was posted in Fantasy Gaming, Lord of the Rings, Miniatures & Gaming, Red Box Games and tagged Fantasy Miniatures, Lord of the Rings, Miniatures & Gaming, Red Box Games. Bookmark the permalink. Pingback: How big *is* that Dwarf, anyway? « Azazel's Bitz Box. Pingback: Kickstarter Experiences. Part 2 « Azazel's Bitz Box. 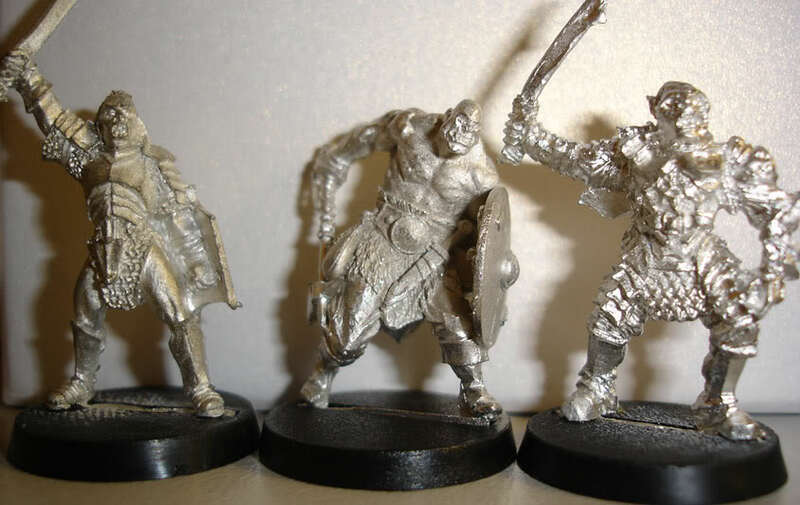 Pingback: Red Box Games – Orc Sizing comparisons | Azazel's Bitz Box.